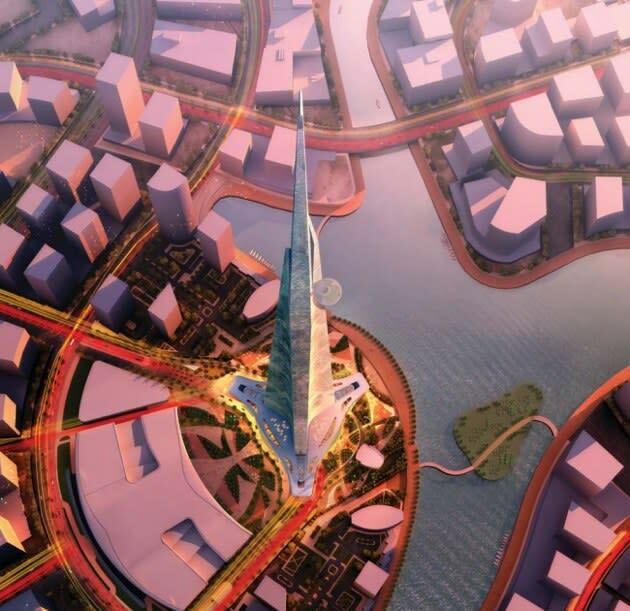 A new building soon to be under construction in Saudi Arabia will bump the world's current tallest structure from its sky-high first place status. 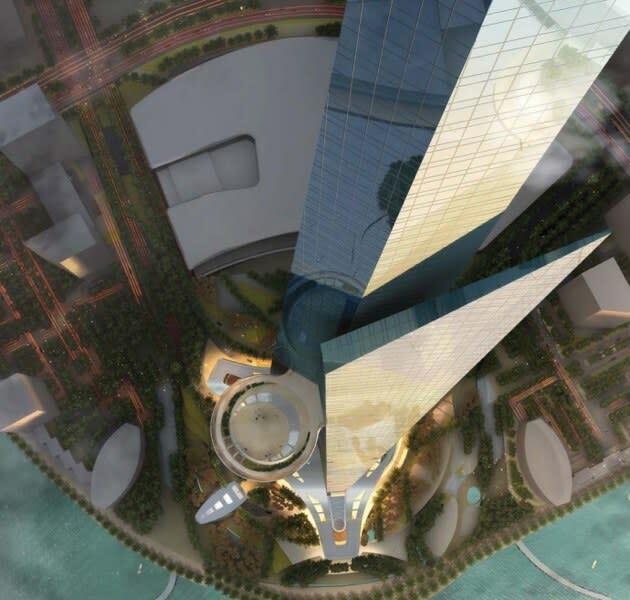 The futuristic mega-skyscraper known as the Kingdom Tower will be built in Jeddah, a cosmopolitan, commercially-minded port city on the Red Sea. The challenger for the world's tallest building title intends to surpass its closest competition — Dubai's Burj Khalifa — by at least 568 feet. The Burj Khalifa, completed in 2010, measures a soaring 2,717 feet, but the Kingdom Tower will stand at least 3,281 feet tall, according to Adrian Smith and Gordon Gill — the Chicago-based team that dreamed up the design. Earlier plans for the record-breaking structure put the tower at mile high, but were abandoned due to concerns that arose in soil testing for the site. The triangular structure will be the focal point of Kingdom City, a sprawling urban development that will cost a reported $20 billion. Kingdom Tower will house a Four Seasons hotel, upscale office space, ultra-luxurious condos (of course), and the world's soon-to-be tallest observatory. 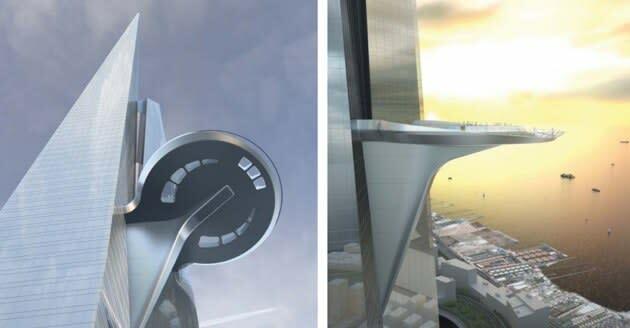 Residents will be able to take a trip up on one of the building's 59 elevators, which travel at over 33 feet per second (22 miles per hour), and enjoy the private sky terrace on the 157th floor. 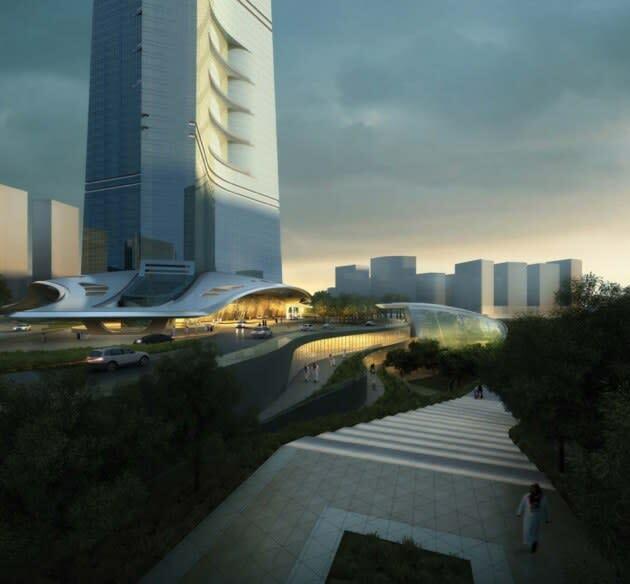 According to its creators, the monolithic skyscraper will serve as a dual symbol for the city of Jeddah— both cultural and religious. Jeddah is often considered the "gateway to Mecca" due to its proximity to the Islamic holy city, and the Kingdom Tower monument will represent both Jeddah's historic symbolism in Islam as well as Saudi Arabia's prominence in international business. 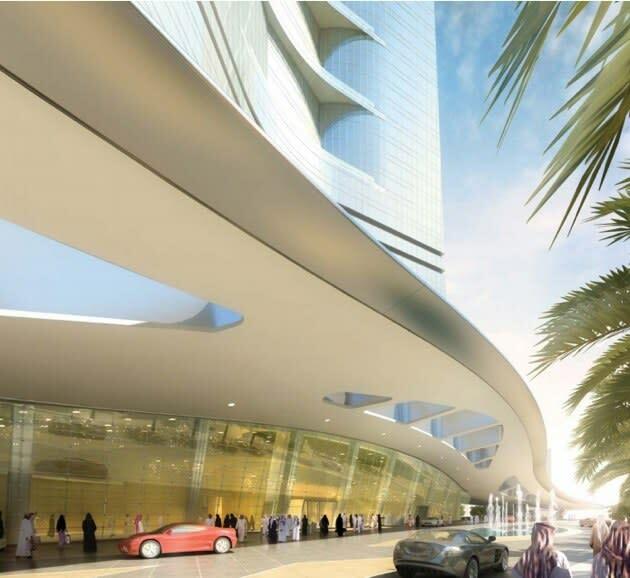 While only very preliminary construction is underway at the future site of the Kingdom Tower, there are plenty of stunning skyward concept images to marvel at in the interim.